Facing enormous blowback, Oversight Committee Chairman Jason Chaffetz (R-Utah) on Thursday reversed course and said he was reinstating Rep. Mark Meadows (R-N.C.) as a subcommittee chairman. Chaffetz stripped Meadows of his subcommittee gavel last week after the congressman joined nearly three dozen other conservatives in voting against leadership on a procedural motion that nearly scuttled a major trade package. Last week’s move was part of a pattern of punishment targeting conservatives who have defied leadership on important votes.But Chaffetz, the new Oversight chairman, soon came under heavy fire from prominent voices on the right, including Laura Ingraham, Mark Levin and Sen. Ted Cruz (R-Texas), who’s running for president. By Thursday, Chaffetz had backpedaled, saying that a number of colleagues had urged him to reconsider his decision. “Having spoken with Mark Meadows several times during the past week, I think we both better understand each other. I respect Mark and his approach. The discussions and candor have been healthy and productive,” Chaffetz said in a statement. Chaffetz’s decision follows a separate move by the House GOP freshman class, which on Thursday morning decided against stripping Rep. Ken Buck (R-Colo.) of his title as class president. 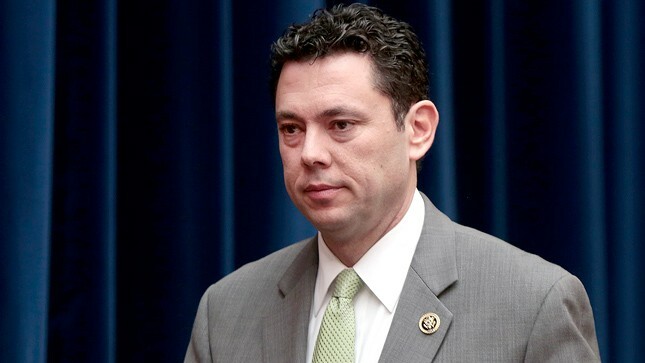 The Oversight chairman had come under heavy pressure from conservatives. Previous post Clinton's Confederate Flag 'Rebel Yell'!